To find more affordable shoes such as these, visit asianvogue.multiply.com. You’re probably wondering why I have headphones hanging on my belt. They’re from Hed Kandi and they’re called Disco Heaven headphones. Unlike other brands, music and lifestyle brand Hed Kandi has always been associated with fashion (at least for me). They always come out with sleek and stylish designs suitable for girls like me. If it’s not for Hed Kandi, I’d probably never get myself a pair of headphones. Don’t get me wrong. I love music and I know the many benefits of headphones as compared to ordinary earphones. They’re waaaaay better. But most earphones are just too heavy and masculine. (Maarte na kung maarte but fashion never sleeps! Haha!) They’re also usually too tight and bulky so they tend to ruin my hairstyle (Oo na! Maarte na! There’s no denying that! Haha!). So you can see why I love these Hed Kandi Disco Heaven headphones. They’re the thinnest, most comfortable and hair-friendly headphones with soft-touch rubberized ear cups for optimal listening. They’re not too tight also so they don’t make my head ache. Plus, they come in this really yummy blue and pink color combination too! To be honest, when I first tried them, I wasn’t expecting much. I was already more than happy with the design and appearance. In terms of sound quality, however, I expected it to be lower as compared to other normal-sized headphones. I mean all the bulk must be there for a reason, right? But surprisingly, they’re really good! I used to dance all the time in high school so I really like my music loud and upbeat. I play close attention to the quality and make sure they’re not “sabog” (I don’t know how to explain this in English so pardon me). I must say, I’m really happy with these headphones. 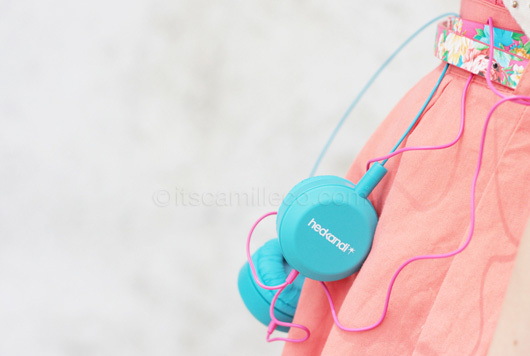 For those interested, Hed Kandi Disco Heaven headphones are priced at PhP1090.00. They’re reasonably priced considering they’re from Hed Kandi. 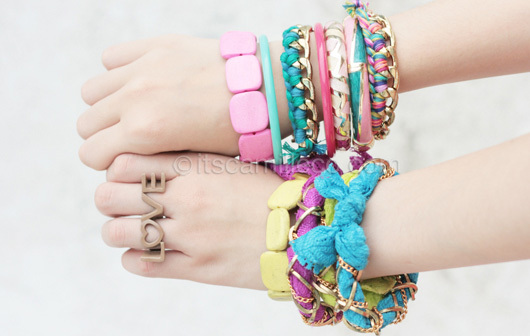 They come in blue/pink (like the one I have), white/coral, black and purple/white. Hed Kandi earphones and headphones are available at Power Mac, Power Hub, iStudio, Astrovision, Technoholics, Bratpack, Mobile 1, Xsite, 8 Telecom, Abenson, Electroworld, Digital Hub, Digital Walker and Beyond The Box. Bought Hed Kandi Disco heaven too because of you! Haha! Anyway, where do you usually shoot your outfit posts and do you have a pool sa bahay nyo that you took pictures there? Haha! Rich kid!